When did the Civil War end? 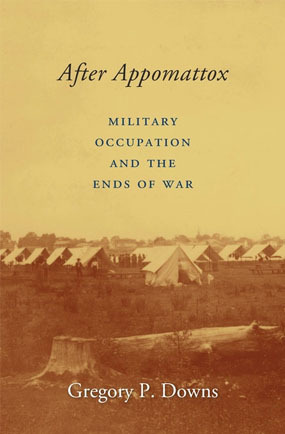 Not with Lee’s surrender to Grant in 1865, Gregory P. Downs argues in his gripping new history, After Appomattox: Military Occupation and the Ends of War. Instead, until 1871, the U.S. Army posted troops across the South in an occupation that helped to crush slavery but gave rise to prolonged conflict with rebel forces. In discussion with David W. Blight, Bancroft and Douglass-award winning historian from Yale, Downs explores the themes in his book, as well as lessons that may be applied to today’s protracted wars in Iraq and Afghanistan. Downs, associate professor at the GC and City College, also wrote Declarations of Dependence: The Long Reconstruction of Popular Politics in the South, 1861-1908 and the story collection Spit Baths, winner of the Flannery O’Connor Award. SOLD OUT. The event will be LIVE-STREAMED. Presented by GC Public Programs.